India Posts can now issue ATM Debit Cards to its saving account holders, and allow them to have bank statements from ATM machines, just like any bank holder in a private or national bank does. This has been termed as a huge step towards bringing India Posts closer to transforming into a full-fledged banking service. The Government of India issued a gazette notification, which in effect amends the Post Office Savings Bank General Rules, 1981 and allows some specific Post offices which are part of the CBS (Core Banking Solution) network to issue ATM cards for their customers. 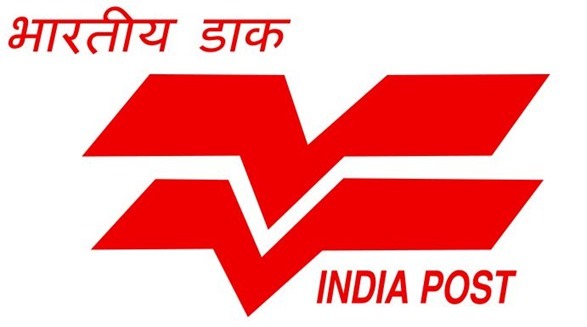 As of now, there are 676 post offices in India which are connected via CBS; and the ATM facility has been made available at the four head Post Offices at: New Delhi, Mumbai, Kolkata and Chennai. As part of the massive IT modernization project of India Posts, Rs 4999 crore has been allocated to increase the number of CBS connected Post Offices with ATM facility to 2800 locations by the end of 2015. Customers with ATM facility can use any other CBS enabled facility to withdraw or deposit money into their account. Hence, a Post Office Saving Account holder from Delhi can visit the Post Office with CBS facility in Mumbai or Chennai or Kolkata and use the ATM to withdraw money or deposit. In future, plans are on to include call centers for customer support, mobile and Internet Banking along with free home delivery service in rural areas. Banking experts are already claiming that once Government gives the final approval for full-fledged Post Office Banking Systems, then in terms of reach and expansion, India Posts can become Asia’s biggest banking platform. In terms of placement, India Posts is already better positioned than Japan Post Bank, which is world’s largest postal banking system with $1.7 trillion of assets and Post Savings Bank of China which has 39,707 outlets. Recently, when Government of India decided to allocate banking licenses to IDFC and Bandhan Financial Services, it stopped short of providing the same for Post Office. Discussions are currently on regarding this step between India Posts and Government of India, and it’s being expected that a decision will be taken very soon. We had earlier reported how Post Offices can assist Indian Ecommerce industry with their huge network of 1.5 lakh branches in every nook and corner of the country. This year, they have already collected Rs 280 crore as COD orders for Ecommerce portals, and with the current saving bank facility initiated, we can expect some major fireworks from India Posts in 2015. "India Post To Issue ATM Cards & Statements For Saving Account Holders", 5 out of 5 based on 1 ratings. Gaana, Saavn, Wynk or Shazam…Which Music App Is Good For You? Recently i made a payment via india post debit card at Shopping Mall but it had not work. Is there any type of issue on india post debit cards or it have some limitation while payment? I have opened a savings bank account with R S Puram coimbatore branch. I had applied for ATM Debit card 4 months ago.. My s/b account no. is 3626106101… I am now told by the P.O official in charge that I can not be issued Debit card, since my name is 20 letters long.. Sir, Is this the valid reason? “This is most silly and illogical reason by a Govt Department such as Post Office… I am a senior citizen and I am put to great hardship without ATM CARD.. Further I have also opened a Senior Deposit account of 1.5 Lakhs at the same post office of R S Puram coimbatore…. I cannot withdraw my interest amount without the help of ATM CARD… Please look into the matter and instruct to issue me the CARD at the above post office…. From :R DAYACHAND SAVANSUKHA. can we use the postal ATM card to draw money from the other banks atms…..?if so is ther any limit to draw the money without charge? If i want to withdraw money from axis/icici/hdfc etc atm’s, is it possible to withdraw by using postan bank atm card ? If possible, is there any service charges applicable for transactions ? Great and timely facility to Post Office saving account holders , This a revolutionary step , no doubt very soon Indian Post Offices will start functioning like Nationalized Banks . Thanks P M Mr Narendra Modi .